Simon is an innovative and creative school leader, bringing new ideas and thinking to the schools in which he has worked. An example of this is the embedding, over a three year period in a primary school, of the Visible Learning impact framework developed by John Hattie and Debra Masters. Simon has developed a special interest in relational leadership, community capacity building, and understanding how that might be exercised to impact home-school-community partnership building and social justice. This is the focus of his doctoral research at the University of Manchester. Focus areas: embedding learning cultures, relational leadership, community capacity building, home-school-community partnership, collaboration built on trust and equality. In my teaching career I have always pursued the twin goals of excellence and effectiveness, through focussing on getting better at getting better and seeking inspiration and knowledge from fellow professionals and the field of research. As a school leader, I always hold to the belief that it is the personal and professional growth of teachers that will have the most impact on pupil development. And that ‘Good schools grow good teachers.’ As a head teacher I determine that the best strategy for improving schools is on-going development of the collective capacity of the teaching and learning team. Schools can only be as good as the people within them. If we accept that one of the most important variables in student learning is the quality of instruction students receive each day, then we must work hard at identifying and utilising strategies that result in more good teaching in more classrooms more of the time. In my school leadership roles I have sought out, therefore, and committed school to professional development strategies that are specifically designed to develop the collective capacity of the teaching team to meet the needs of students. That teaching and learning team requires and deserves outstanding leadership at every level. So, accordingly, I have always accepted the responsibility for developing leaders in school in order that the team maintains and builds capacity for fulfilling both co-created vision and co-created school improvement planning goals, whilst nurturing a culture in which success and growth happens. I have extensive experience in researching, preparing, resourcing and delivering professional development programmes. This was a key part of my role as senior leader, deputy headteacher, and headteacher in school. I consider myself to be an innovative and creative school leader, bringing new ideas and thinking to the schools in which I have had the privilege to work. An example of this is the Visible Learning model based upon the principles developed through Professor John Hattie’s research. I have delivered presentations on school’s embedding of Visible Learning principles at teaching and learning conferences in London, Leeds and Edinburgh, at the World Visible Learning Conference in London (2016), and at the US Visible Learning Conference in Washington DC (2016). We had many requests for visits to school, including schools from Scotland and Wales, and groups of educators from the Netherlands and Norway. I have also been asked on several occasions to deliver presentations on home-school-community partnership, in London and Manchester. I have delivered sessions for student teachers at Durham University and Northumbria University. I have a professional learning network, making use of modern technologies, extending to Australia, New Zealand, Canada and the United States. I am currently in Year 6 of a six year professional doctorate programme at the University of Manchester. 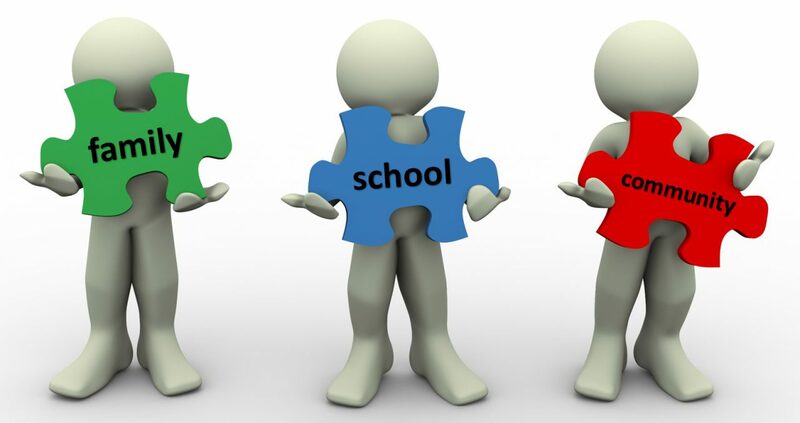 The focus of my research study is communal leadership, community capacity building and an understanding of how that might be exercised to impact home-school-community partnership building and social justice. My research builds on my belief in the power of relational leadership, through building relational trust and recognising and addressing the issue of relational power. I hold to the view that such an approach serves to ignite community capacity building, is in the best interests of social justice, secures inclusivity, and so works in the very best interests of all our young people, regardless of background and family socioeconomic standing.